When I think of the mark of the beast, I think of a number/mark or another way of compromising and contradicting God if I take this mark. We are told that in order to purchase items, work or just about anything we would need to take this mark. The beast apparently can control who can and cannot buy and sell. If they do not have the beast’s mark, then they have no power to buy or sell since “It also forced all people, great and small, rich and poor, free and slave, to receive a mark on their right hands or on their foreheads” (Rev 13:16). There has been a bunch of speculation and interpretations because it tells us so little. The Bible doesn’t reveal a lot about the number 666 and I’m not a scholar, so it is beyond my interpretations. 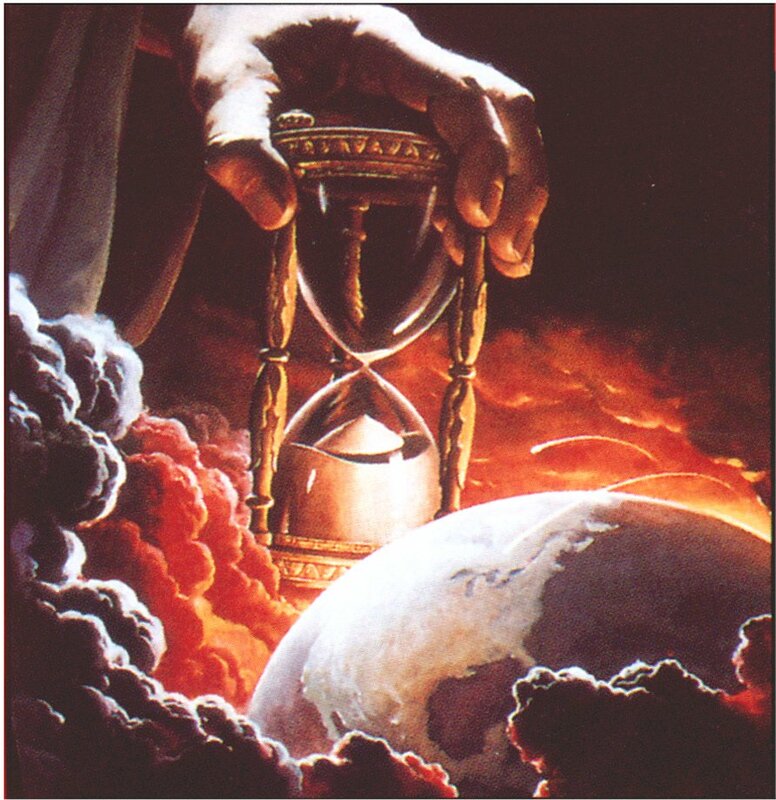 When I think about this number of man, I think it is important that anyone who is not Christ is susceptible to this beast and the Antichrist but those who are written in the Lamb’s Book of Life have nothing to fear from the beast nor anything to worry about the number 666 and having the mark of the beast be on them (Rev 13:8). For me this number is important because I’m a believer in Christ. I want to be sure to do things that are pleasing to Him and not take part in anything that would not make Him happy. I know that we all sin and even though I’m a Christian, that doesn’t make me infallible. But at the same time, when the Bible warns us of things not to do, I want to be sure to comply to that. 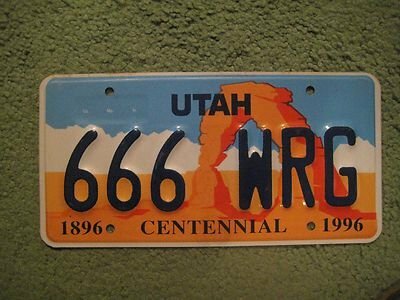 Here in Utah we have license plates that ended in 666. When they tried to give me one of these when we first moved here, I refused it. I know that plate isn’t the beast. But there was no way I would be driving around in a car with that number on my plates. It isn’t about the plate really, it’s because I know what the Bible says and what that number represents. The number could be symbolic or literal. This is something I don’t know. But I do know that it would have bothered me and to me that is like saying that what the Bible says isn’t important. No way, no how will I ever take part in things that revolve around this number. I do understand that there are many things with 666 in them. But to knowingly go out of my way to display these numbers, knowing what the Bible says makes no sense to me. Even if these numbers are symbolic, it is still meaningful and something I am fully aware of. I think about what the mark of the beast could be. I think it would be more like a chip or something like that. Even now they are implanting chips about the size of a grain of rice under pets, children and adults skin. With these chips, they can put all your information and it is scannable. People can be tracked down anyplace in the world with these chips. And many of the codes to put things on the web and such will have consecutive numbers in-bedded on them. There is no way I would knowingly chip myself, children, loved ones or pets. I guess I’m aware of the possibilities and want no part in it. amen I do agree with you views. I do believe in Christ and know that he has been with me many times in life.